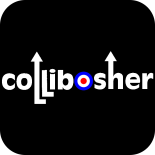 Collibosher is now looking for a drummer. Ideally we’d like to have one rehearsed and bedded in, in time for the gig in Chelmsford on 11th May. The music we play is shown on our playlist, with links to videos at YouTube for most of them. We were working on a couple more numbers (we don’t put them on playlist until we’ve played them live) but you can see the sort of stuff we do. We have been rehearsing at the Cherry Tree in Dagenham, and we live in the Barking/Dagenham area. We do a mixture of paid gigs and charity gigs. We are part time, and have other jobs. We do have problems with transportation, as two of us don’t drive. However we will chip in towards transportation to get to gigs – obviously if you have suitable transport it would help! But the most important thing is that you like and can play what we play! This entry was posted on 31 March 2013 by davespagnol.